I walked out of the break room to this hot mess yesterday. I know what you’re thinking “Oh how cute” right? Not so much. 4 children 14 pairs of shoes not 1 parent in sight! At least not until I asked ” Hey girls, where are your parents?” they just pointed down the ramp and kept prancing around. 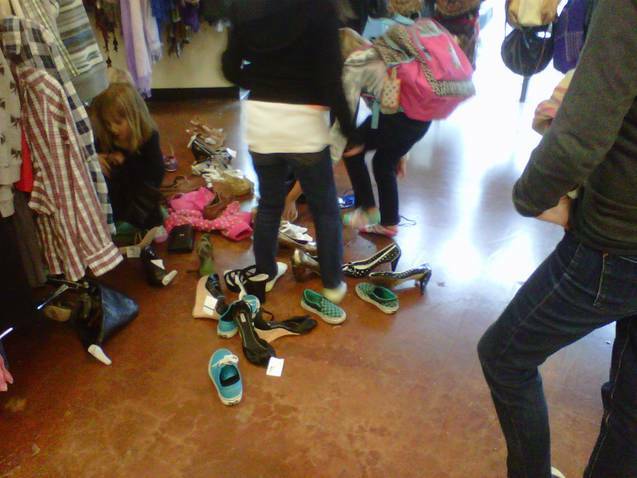 Even after I located the parents they did nothing but watch their girls continue to make a mess. The woman on the right in the green jacket is one of these shoe queens mother. She just stood chit chatting with her friend. Blady doddy da while I snapped shots of the mess. “I’m sending these to my boss, she’ll never believe this mess without pictures” I said. And still nothing! 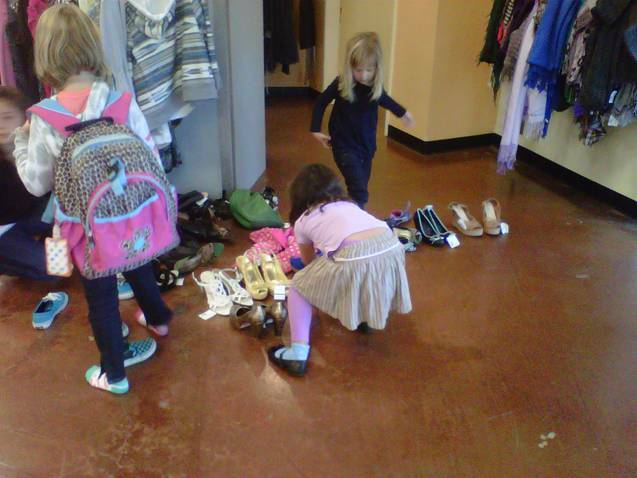 I ended up asking the girls to help me put the shoes back where they belonged while the mothers stood and watched. Not fun. P.S. These are the SAME monkeys that we climbing on the ramp. Please tame your kids. pass.